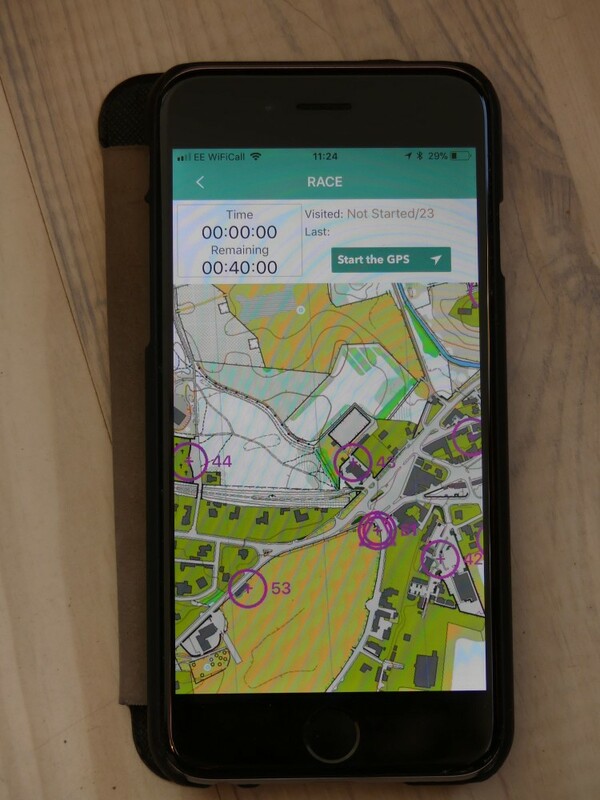 The "MapRun" app allows you to set up and take part in "Virtual" orienteering courses using your smartphone. 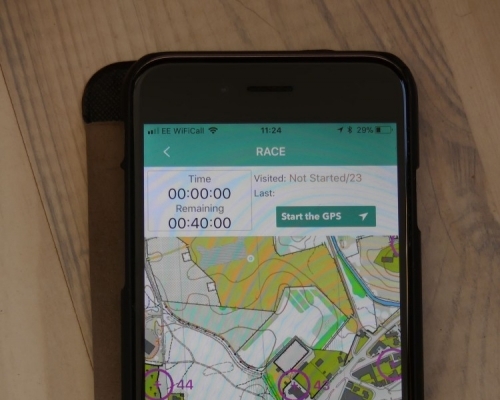 You run a course using either the map on your phone screen or a paper version, and your phone will automatically beep when you reach the correct location of each control (nothing marking it on the ground). At the end of the course your results and split times can be saved into a results table alongside others who have run the course. There are now 15 MapRun courses available (25 Sep 2018) in the Deeside area which you can use as you wish for family recreation or personal training. The MapRun app is available for both iphone and android and can be downloaded for free from your phone's app store. Once you have the app on your phone you can enter your details (name etc.) and then select an event to run. Go to the "MR UK" folder and then "MR Scotland" and you should find a "Maroc" folder that contains all of the local "events"
Select the one you want and it will download the map and course to local storage on your phone (maybe a good plan to do this at home where you have wifi). When you are ready to run, select "Go to start". If requested, enter the PIN as detailed below. Click on "Start the gps" then go to the start point shown on the map and your phone will beep to tell you that it has found the start and the clock has started ticking. The courses have been planned as standard linear courses. Your phone should beep once you reach each control point. Sometimes you may need to slow down and stop for a couple of seconds, or move a few paces until it registers. Once you've finished running, go to the Finish (same place as the Start). The phone will beep again and after that you should be able to save your results and also upload your trace to Strava if you have an account. Because of the way the app works, some of the control points on the screen version of the map are not perfectly centred on the mapped feature where the control is. These have been adjusted in a .pdf version that you can print out and run with using the paper map in the traditional way. This is recommended for several reasons: it will use less phone battery; it will allow you to store your phone away in a pocket as you run; the control points will be more accurately centred on the mapped feature. If you plan to use your phone screen to navigate with, then make sure your phone has plenty of battery juice, especially if it's cold! Please note that you participate at your own risk!